Over the weekend I bought the Garmin Forerunner 235. I loved my Garmin Vívoactive but I really wanted a watch with heart rate monitoring built in since tracking that data is something that’s important to me now. 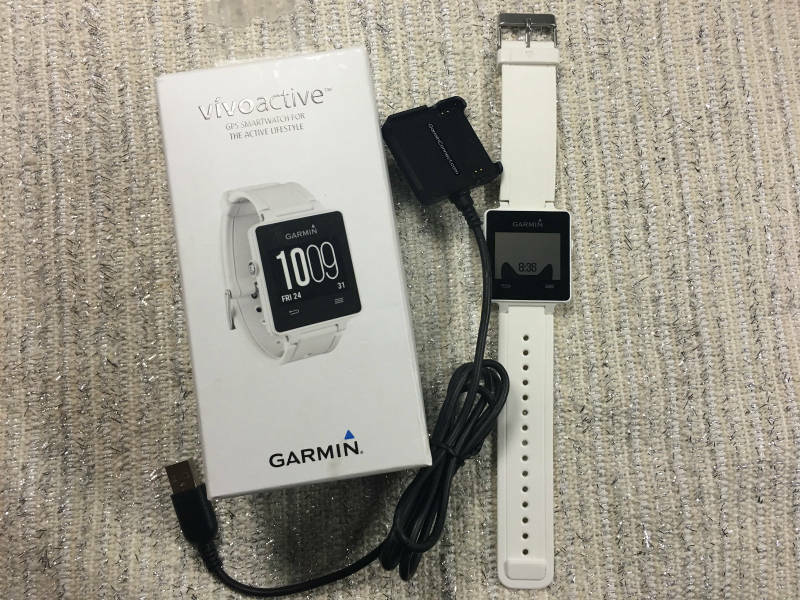 Since I no longer need my Garmin Vívoactive I wanted to see if there is a runner out there who would like it? 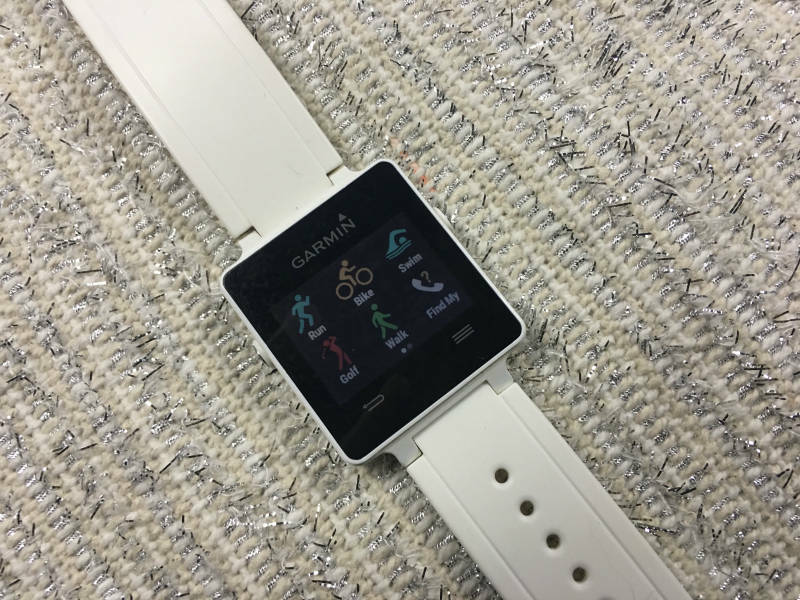 Pairs with the Garmin Connect store so you can download free watch faces, widgets, etc. If you don’t like the white band or want a new one you can buy replacements on the Garmin site for $14. They come in a variety of different colors to suit your personality! Ideally I would love to send this watch to someone who doesn’t already have a running watch. If you’re just starting to train for your first big race, or the price of Garmin watches has kept you from splurging please email me (runkristina@gmail.com) or leave a comment below and I’ll reach out to you. I hope I can find my Vívoactive a good home 🙂 it’s really a great watch and if it had heart rate tracking built it I would definitely still be using it! What’s your favorite running watch? When you first started running, what type of tracker did you use? I just used the RunKeeper app! PS: Just because of shipping prices I’m only going to send off this watch to someone in the United States. Previous Post New Home! New Garmin! New Lipstick Vlog! Next Post A Quick Hello! I’d love to upgrade my 220 to the 235 for the built in heart rate monitor, but my 220 really isn’t that old and works perfectly. I’ll be expecting rave reviews so I can justify saving for an upgrade. Awww, that is super nice of you to find a new home for your watch!! I think you will love the 235. That is so sweet of you to do a giveaway with your Vivoactive. Training for my first half and most of the training for my first full marathon was done with a Polar hear rate monitor and pre-driven routes with known mileage. I got the 220 about two years ago and have really enjoyed it. Can’t wait to hear what you think of the 235 – so pretty! I am a new runner and have been looking at different watches…there are so many options. I would love to give the Garmin Vivoactive a try. Hey Samantha! Awesome, I’m going to send you an email :). I hope your watch finds a good home! I originally asked for a 235 for Christmas, but got the 230 and I love it. The watch sounds great. I don’t have a running watch but it would be nice to try.